The barn was possibly in Ruislip. 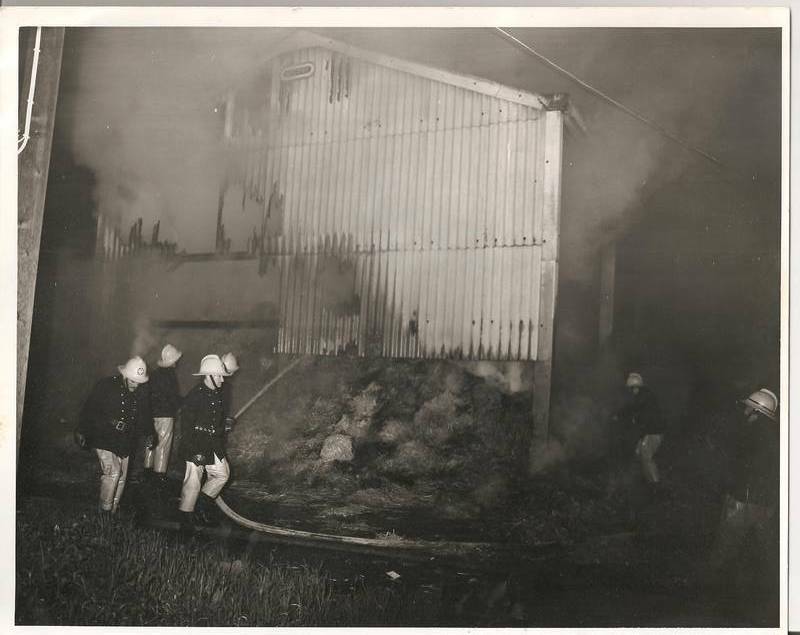 Firemen from Hillingdon. Many thanks Marian. Any idea what year roughly? It was about 1975, I believe. Probably the year of the drought. Thanks for the 10 :-) It could be a press photo but there is no name on it. Ah .. I have just found that yellow helmets were introduced in 1976 and so that must be the year of the fire and not 1975. (Unless the information I found is wrong). Would anyone know?